In case you’re wondering how much of your retirement savings might go toward health care, Fidelity has a new number – and it’s going up. 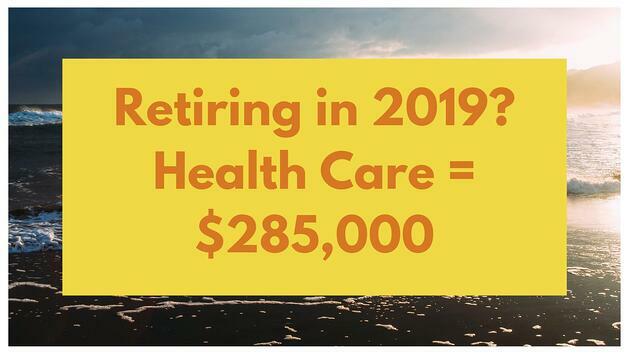 A 65-year old couple retiring in 2019 can expect to spend $285,000 in health care and medical expenses throughout retirement, compared with $280,000 in 2018, according to Fidelity’s annual Retiree Health Care Cost Estimate. 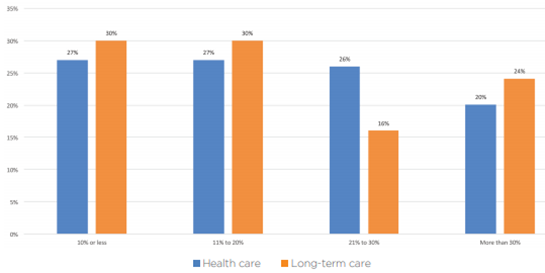 For single retirees, the health care cost estimate is $150,000 for women and $135,000 for men. The estimate assumes both members of the couple are eligible for Medicare. 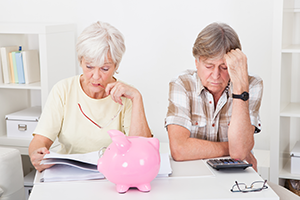 While Fidelity’s estimate is for a couple retiring in 2019, the firm says it’s a call-to-action to younger generations to prepare – such as buying the right insurance products – for a lengthy retirement. Mutual of Omaha offers two dental plans* Mutual Dental Preferred and Mutual Dental Protection insurance policies with an optional vision care rider** underwritten by Mutual of Omaha Insurance Company. The dental product is available in all states except: New Mexico, New York, Virginia and Washington. While this product is positioned for individuals who are Medicare eligible the issue age is 19 – 99 for these policies. For more information and to see rates view the Dental Insurance Product and Rate Guide. You have a built-in target market. If you are selling Medicare supplement, there are a number of reasons you should be offering your Medicare clients a dental policy. First, good dental care is important to overall health. But do you know Medicare doesn’t cover dental services? That means dental bills have the potential to take a bite out of people’s savings. 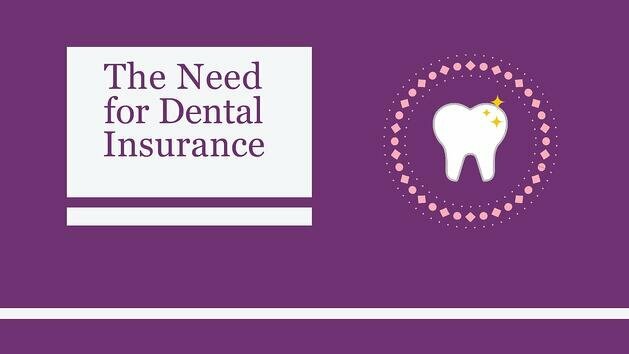 Second, there is a need among individuals age 65 and older for dental insurance. Third, it is an easy sale. If you are taking a Med supp e-App the dental plans are quoted up front and with a few simple questions at the end of the app you can complete a dental sale. Also, all Med supp paper apps have the dental application included in the application book. And with our mobile quote app you can provide your clients a quote on the spot. Not appointed with Mutual of Omaha. Request details on both their competitive Medicare Supplement and Dental Plans. In order for a business to be successful all parties involved have to benefit or the relationship will eventually break down. As an insurance agent, it’s likely only a matter of time until you find yourself in a situation where you feel that your upline partnership isn’t working for you. When that happens, it may be time to cut ties with your current upline and move on. This can be a simple or complicated process, depending on your upline FMO and the carrier involved. It is important first to understand that, if the carrier in question will honor a signed release from your upline, it needs to be from the highest level in your hierarchy. Carriers will not accept a signed release from a mid-tier FMO. For example, as an FMO we have a direct relationship with the carriers we broker for. For the most part, carriers will honor our release requests, no questions asked. We have a general open release policy and would normally process a release without delay. Having said that, we also give our mid-level down lines flexibility to implement their own release guidelines and allow them to release down lines as they see fit, as long as carrier guidelines are respected. For the most part there are 2 ways to transfer your contract to a new upline. A “Signed Release” or a “Self-Release”. An agent may request to be released from their upline for immediate transfer to a new FMO. It is important to stress that this request must be signed by the top level upline and NOT by a mid-tier. If the top line FMO signs the release, the agent is then free to transfer to a different broker immediately. An agent stops writing business for a period of time, usually 6 months, and they will be able to transfer at the end of the time period due to non-production. An agent may submit a notice to the carrier detailing their intent to transfer to a new broker. The agent should be able to continue to write business (depending on the carrier) for a time frame specified by the carrier. When that time frame is up, the agent will be allowed to transfer their contract to the broker named in the original intent letter. Aetna Med Advantage/Part D - Notice and new contracting must be sent to Aetna to start the clock. You can continue to write business during their 3 month Self-Release period. Mutual of Omaha - Non-Production for 6 months will allow an agent to transfer their contract. Aetna Med Supp - Email notice must be sent to Aetna Supplemental to start the clock. You can continue to write business during their 6 month Self-Release period. 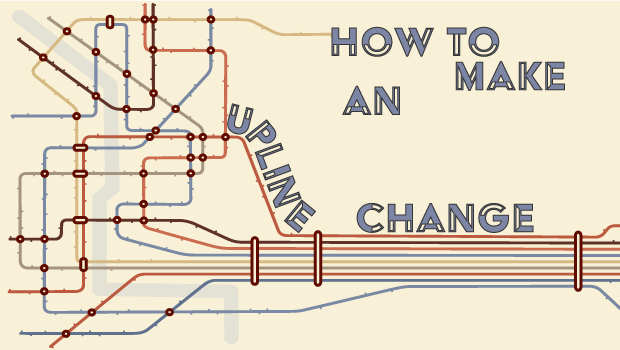 However, different guidelines apply if you have producing downlines. Humana - Notice and new contracting must be sent to Humana to start the clock. You can continue to write business during their 3 month Self-Release period. United Healthcare – Email notice must be sent to UHC to start the clock. You can continue to write business during their 6 month Self-Release period. Some Med Advantage carriers implement transfer freezes in the 4th Quarter of each year, which prevents an agent from transferring their contract no matter what the release scenario may be. UnitedHealthcare, Aetna, and Humana are a few of the major carriers who implement a transfer freeze period. With that being said, it’s important to carefully consider the timing if you’re looking to initiate a self-release. For example: If an agent were to start a self-release and that self-release time frame expired in the middle of a transfer freeze (9/1/19 to 12/31/19), they would be forced to stay under their current upline until the end of the freeze period. In other words, they are stuck until after AEP and usually until January 1st of the next year. Obviously, if the agent could have timed the self-release so that the self-release time frame expired before the freeze period, that may have been the more favorable situation. Again, not all carriers have the same process, so ensure you understand the carrier’s requirements before starting the process. The important thing to remember is that, if your business relationship isn’t working, you have options. It is also a good idea to understand the release policy of your upline, before you work with them, so you are not surprised when the situation arises. Your success is up to you, but a bad business relationship can definitely make that success more difficult. If you have any questions, our experienced marketers are here to help. 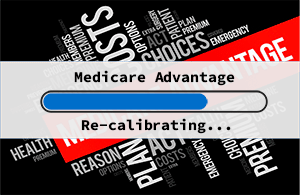 The Medicare Access and CHIP Reauthorization Act of 2015 (MACRA) changes some of the Medicare supplement plans people new to Medicare can purchase. 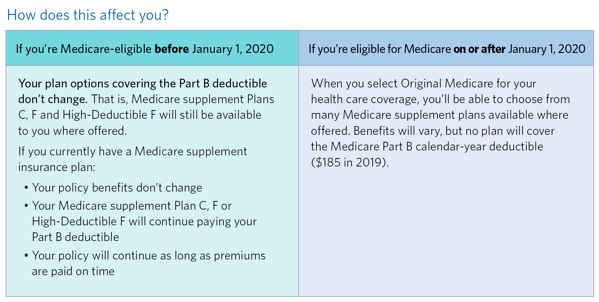 The rule says that as of January 1, 2020, newly-eligible Medicare beneficiaries won’t be able to purchase Medicare supplement plans that cover the Part B deductible. These are Medicare supplement Plans C, F, High-Deductible F and Minnesota and Wisconsin Part B deductible coverage. For MACRA purposes, “newly-eligible” people are those who become eligible for Medicare on or after January 1, 2020. Mutual of Omaha is releasing a new Medicare Supplement in Georgia. Request details today and be ready when the product roles out for new sales. Call us at 800-998-7715 and one of our marketing representatives would be happy to share this valuable information with you. There are Medicare changes coming effective January 1, 2020 as a result of the Medicare Access and CHIP Reauthorization Act of 2015 (MACRA). 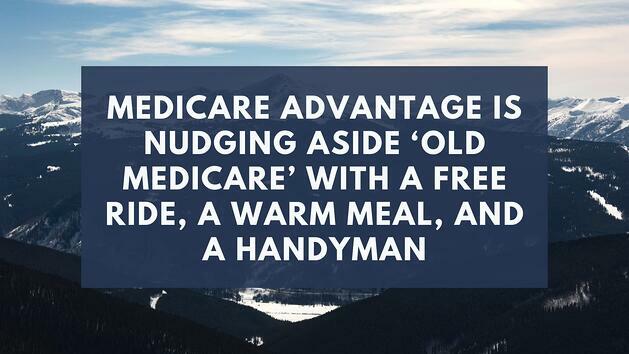 The Act eliminates Medigap plans that cover the Medicare Part B deductible (Plans C, F and High-Deductible F) for people who are Medicare eligible on or after January 1, 2020. That means those Medicare beneficiaries will not have a Medigap option with first-dollar coverage and will pay the Medicare Part B calendar-year deductible themselves. 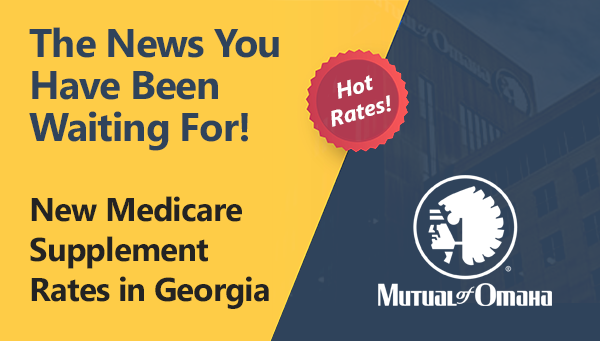 Until December 31, 2019 our High Deductible Plan F, underwritten by Omaha Insurance Company, will still be available in Georgia for individuals who are Medicare eligible prior to January 1, 2020. Only paper applications will be available for submission and can be downloaded on Sales Professional Access, Forms and Materials. 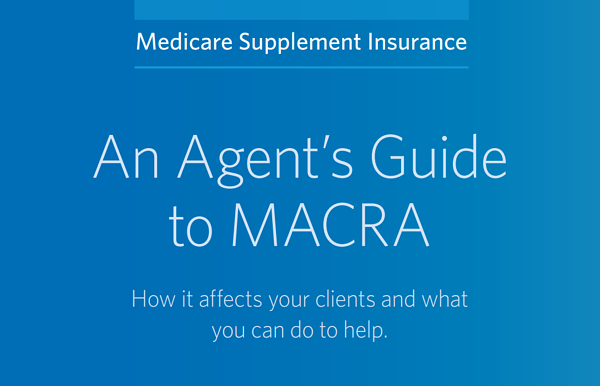 For more information on how MACRA impacts your clients, click here.